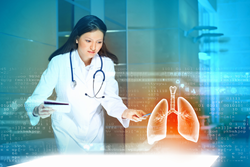 The Radiology Business Management Association joins letter opposing Medicare decision to restrict independent diagnostic testing facilities from offering low-dose CT lung cancer screening. This very literal interpretation is at odds with existing practices and broader policies, such as the Bipartisan Budget Act of 2015 that is encouraging hospitals to set up more off-campus IDTF imaging centers. The Radiology Business Management Association (RBMA) has joined the American College of Radiology (ACR), the Association for Quality Imaging (AQI) and MedQuest Associates in strongly opposing a recent Centers for Medicare and Medicaid Services (CMS) regulatory interpretation that would restrict access to life-saving low-dose computed tomography (LDCT) lung cancer screening to significantly fewer locations and make the test potentially more difficult for qualified patients to get. LDCT lung cancer screening is a test offered at hospitals and community-based medical imaging centers. The community-based centers (often referred to as outpatient or ambulatory centers) are typically designated as “independent diagnostic testing facilities” or IDTFs for legal and regulatory purposes. IDTFs currently offer Medicare and Medicaid patients several types of medical imaging services, including screening tests like mammography and abdominal aortic aneurysm ultrasound, in a setting that may be more convenient for them to get to than a high traffic hospital potentially further away where they live and work. IDTFs use the same types of equipment as hospitals and perform CT imaging exams that are both diagnostic and screening-oriented in nature, such as non-contrast chest CT exams and CT colonography, sometimes called a virtual colonoscopy. However, CMS has issued an updated interpretation of its rules for LDCT lung cancer screening that states that because IDTFs are diagnostic testing facilities, they can only perform diagnostic services and a LDCT is not a diagnostic test. The RBMA believes this very literal interpretation is at odds with existing practices and broader policies, such as the Bipartisan Budget Act of 2015 that is encouraging hospitals to set up more off-campus IDTF imaging centers to care for patients with greater efficiency and at lower cost. Notably, CMS has not expressed any quality concerns with LDCT services performed at IDTFs. The facilities must fully comply with all Medicare program rules for furnishing LDCT services, their CT scanners must be accredited and all their services must be under the general supervision of a Board-certified radiologist. Along with the ACR, the RBMA wants to make clear that lives are at stake here. LDCT lung cancer screening is the only test approved for screening for lung cancer, the leading cause of cancer death in the United states. More than 150, 000 American die from lung cancer each year, and Medicare patients are at especially high risk as about half of all people diagnosed with lung cancer are 70 years of age or older. Research has shown that early detection is essential as 9 out of every 10 people die from the disease because it was detected after the cancer had spread to other areas of the body. The regulatory language at issue is found in Medicare’s Regulations for IDTFs at 42 CFR §410.32(g)(7). The ACR sent a letter to Tamara S. Syrek Jensen, J.D., director for the Coverage and Analysis Group at CMS’s Center for Clinical Standards and Quality on July 13, 2016, outlining the concerns of the ACR, RBMA, AQI and MedQuest. The Radiology Business Management Association is a national not-for-profit association providing members with applied business information and intelligence applicable in any radiology setting. The RBMA has approximately 2,300 members involved in various management capacities in private practices, academic radiology groups, imaging centers and hospitals. The RBMA continues to be recognized as the leader for radiology-specific educational programs, products and services, publications and data.